Like the rest of the North-East’s football teams, Newcastle United’s glory days have long since disappeared over the horizon. But a constant in their much more successful decades during 1920-1960 was one George Stanley “Stan” Seymour, who was born in the County Durham village of Kelloe on 16th May 1895*. The great black and white mainstay represented the club at every level: as a player, manager, chairman and director prior to his death in 1978. Ironically, though, Seymour was rejected by the club as a teenager, but returned to grace the team’s left wing in a spectacular playing spell during 1920-29 – which included an F.A.Cup victory in 1924 and a League Championship success (the club’s last) in 1927. He famously supplied the ammunition for legendary centre-forward Hughie Gallacher during 1925-29, as well as bagging 70+ goals himself during his nine-year stay. He appeared twice (unofficially) for England, too. He retired from playing in 1929 and set up a sports shop in the city centre (which survived for many decades), before being recalled as a director of the club in 1938 – and effectively managed the team for the next 16 years (with a break during 1947-50). He steered Newcastle United to back-to-back F.A.Cup Final wins in 1951 & 1952, before stepping down and moving upstairs to become chairman (1954-56). His presence continued to overshadow the club and city in the ensuing years, before he returned briefly as the club’s president during 1976-78 – dying in office in December 1978. There is a great debt owed by Newcastle United to Stan Seymour for all of his services to the club. * Some sources give his birth year as 1893. Elizabeth Barrett Browning is recognised – and was acknowledged in her lifetime – as one of the best known and most popular poets of the Victorian era. And though she lived most of her life in Herefordshire, the south of England and Italy, Elizabeth was actually born at Coxhoe Hall, Co.Durham, in 1806. Although she came to vehemently oppose slavery, her family fortune was largely derived from the industry – from sugar plantations in Jamaica. 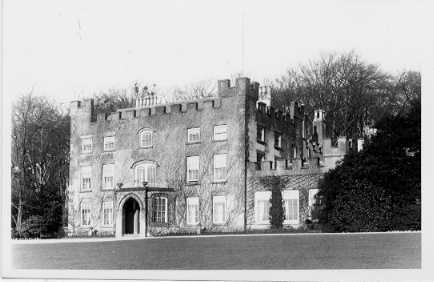 At the time of her birth, the family lived at the aforementioned mansion situated between Coxhoe and Kelloe, though they would move to their famous Hope End estate near the Malvern Hills in 1809. Elizabeth was the eldest of twelve children, and was herself baptised at Kelloe parish church shortly before the move. She was a deeply studious child, an avid reader and wrote poetry from any early age. Her mother would compile collections of her work, and her father would encourage her efforts, too – and she was educated thoroughly at home whilst her brothers were formally schooled. She became an ardent feminist after studying the work of Mary Wollstonecraft. Published from an early age, she built up and maintained correspondence with many leading classical scholars. However, from the age of 15 she suffered a lengthy and undiagnosed illness, which troubled her for the rest of her life. The opiates and morphine she took to combat the pain may have contributed to her vivid imaginings. Financial misfortune took the family to London, where she expanded her social circle to include the likes of Wordsworth, Coleridge and Tennyson. She spent some time in Torquay for health reasons, but returned to the capital for her most prolific period of the early 1840s. 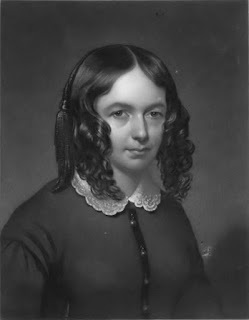 She married Robert Browning in 1846, and they moved to Italy – being largely disowned by her family. Despite her ill-health, they had a son, Robert, in 1849, but her frail body finally gave way to death – probably from lung disease – in 1861. She was buried in Florence – a long way from her place of birth here in the North-East – and was lauded long after her death. Coxhoe Hall eventually found its way into the hands of the Coal Board, was used to house enemy PoWs during WWII, and then fell into disrepair prior to its demolition in 1956. As we may see from the explosion that has been at Trimdon Grange. With the Trimdon Grange explosion, Joseph, George and James are gone. For to meet their fathers’ coming, as each hard day’s work was done. Now are solemn, sad and gloomy, since the father is not there. We may meet the Trimdon victims where explosions are no more. On the face of it, there doesn’t appear to have ever been very much in the way of activity in and around Garmondsway. The few farm- and home-steads which remains in the landscape a couple of miles west of Trimdon don’t appear to have seen much action over the centuries. A railway line once helped serve the old limestone quarry to the north, the empty expanse of Garmondsway Moor lies to the south and – going way back – an old Roman road (now the A177) skirted the area a little to the west. But look on the modern-day map and you’ll see the site of the old abandoned medieval village marked at NZ342348. Nothing much to look at now, maybe, but at one time this tiny settlement was important enough to receive mention in the history books as having been visited by King Canute. For, in 1027, shortly after a slightly more high-profile pilgrimage to Rome, England’s then monarch decided to set out on a local mini-pilgrimage to the shrine of St.Cuthbert at Durham. On the way, the royal retinue passed through Garmondsway; and it was here – at a distance of some 5 or 6 miles from their destination – that they decided to complete the remainder of the trip barefoot, as pilgrims are prone to do. Canute is also rumoured to have shaved his hair and beard clean off for the occasion. 1682/3 Jan.25 – A sad, cruel murther committed by a Boy about 18 or 19 years of age, nere Ferryhill, nere Durham, being Thursday at night. The manner is by report:- When the Parents were out of dores, a young man, being Sone to ye house, and 2 Daughters, was kil’d by this Boy with an axe, having knockt ym in ye head, afterwards cut their throats; one of ym being asleep in ye bed, about 10 or 11 yeares age; the other Daughter was to be married at Candlemas. After he had kil’d the Sone and the eldest Daughter, being above 20 years of age, a little Lass her sister, about ye age of 11 yeares of age, he drag’d her out of bed and kil’d her alsoe. This Andrew Millns, or Miles [Mills] was hanged in irons upon a gybett, nere Ferryhill, upon the 15th day of August, being Wednesday this yeare, 1683. Mills was hanged at Durham, and his body suspended in chains upon a gibbet – reportedly a mile north of Ferryhill and within sight of the scene of his terrible deed. Website devoted to story here, and expanded contemporary account here.